UPDATE: I updated my reading chart and posted the new one here. It has better squares and looks more like a board game. 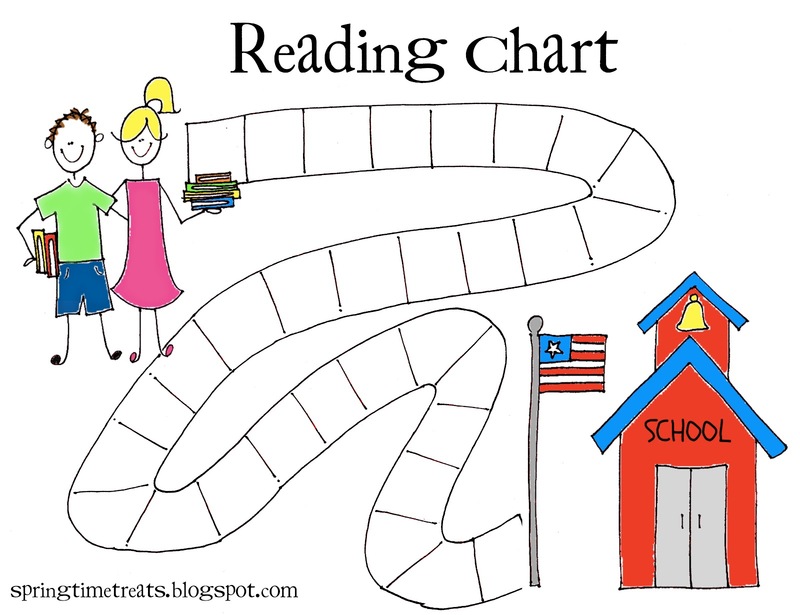 I originally made this for my kids for a "summer reading chart" but by the time I got around to finishing it school was about to start. Lucky me, we can still use it because my little first grader daughter has to read for 15 minutes every night. So if you need some motivation to help your little readers I made these reading charts / board games. I love how the kids turned out, but am not loving the squares, I should have used my program to make straight lines instead of free handing it. I might redo it. This is the one my children specifically asked for. Their favorite place to go is a play zone that has a rocket theme, so that is their prize. 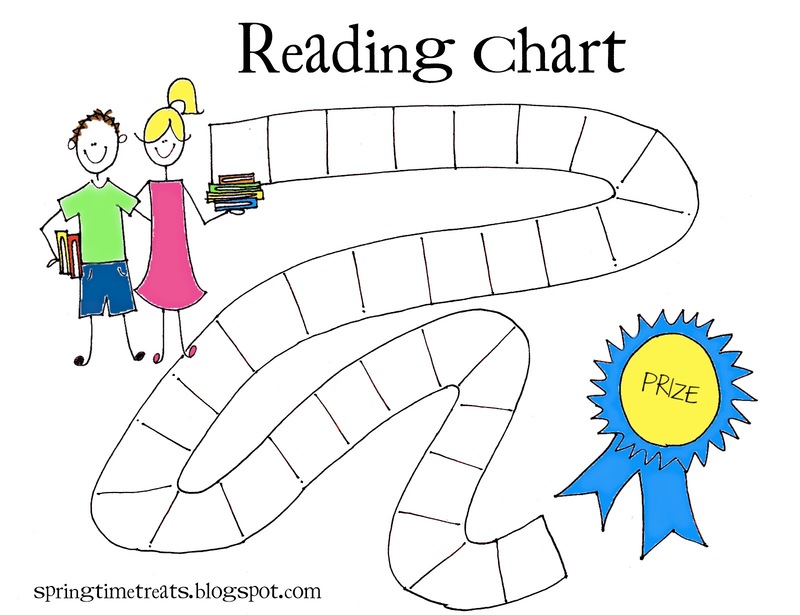 I made a reading chart with a generic prize reward that could represent just about anything. I just really liked this school building doodle. 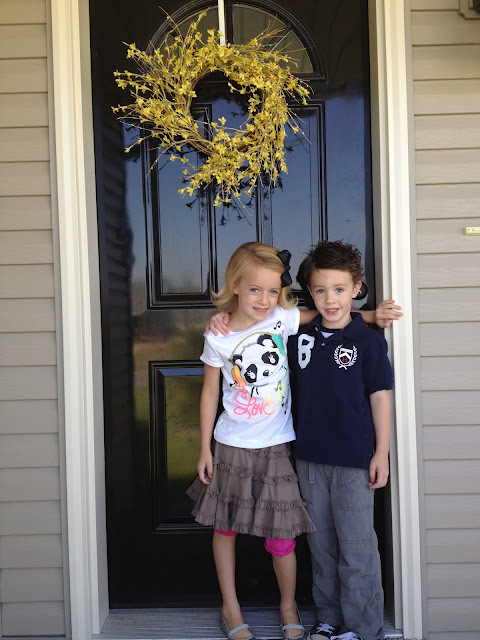 Here are my cute little ones headed to school. I always base my drawings off them, that's why the little girls are usually blond with a pony tail and the boys have a mop of brown hair. While they are the same size, our little girl is actually 2 years older. Our little boy is really tall like his dad. We used stickers to mark off each day they read. You could also use check marks or amount of time they read. Since it looks like a board game you could write in little prizes along the way, "Ice cream" "Movie Night" "Go to the Zoo" etc. Each square can represent reading at least one book per day (little children) or reading 30 minutes (older children). Where did I get this idea? 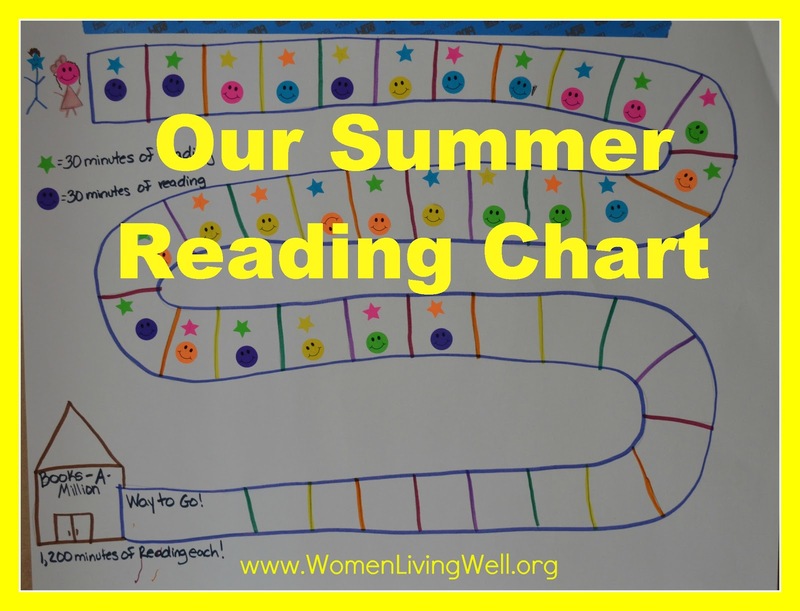 I actually googled "Summer reading chart" and found a lot of great charts but I really like this great idea found at womenlivingwell.org. In her blog she explains that each small sticker represents each of her children. Check out her blog for more details. So after finding this idea and adding my own doodles to it, this is how it turned out. Everything important goes on my fridge. What's funny is that I spent all that time drawing and editing on my computer and my little girl made her own that she likes just as much. But you have to admit hers does look pretty awesome. Thank you so much for all the free printables! When it comes to chore charts and reading charts I always have good intentions to make them but I never get around to it. 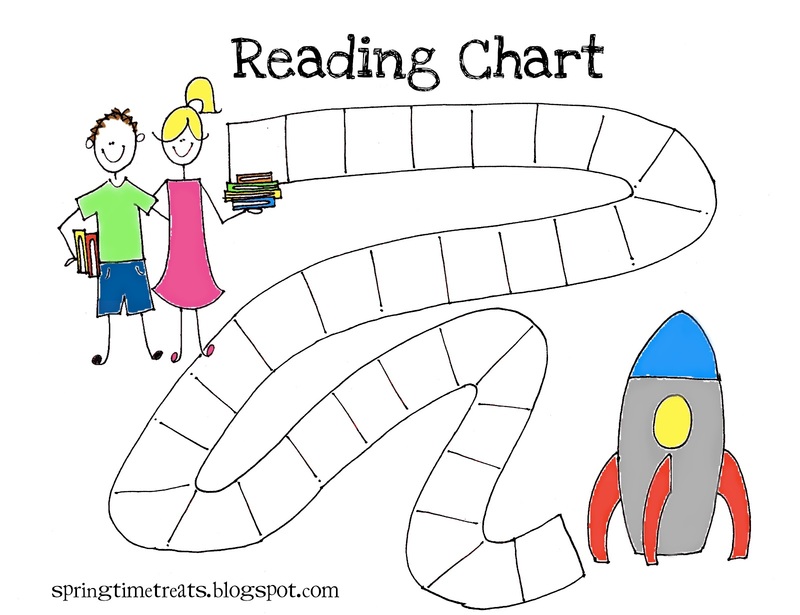 My boys will love these charts. I know you make them for you but I hope you realize how much you are helping other moms at the same time. Thank you so much Shelley. That really means a lot!! Loved how Sierra made her own chart...Hannah did the same thing recently. She was SOOOOOO excited to move to the new rental ("It's big and I can run around in it and it has a big yard with woods!") that she made her own countdown chart of days until the move. One day Hyrum thought she was off count and marked off a square for her.....oooooh, boy, was he in trouble!!! 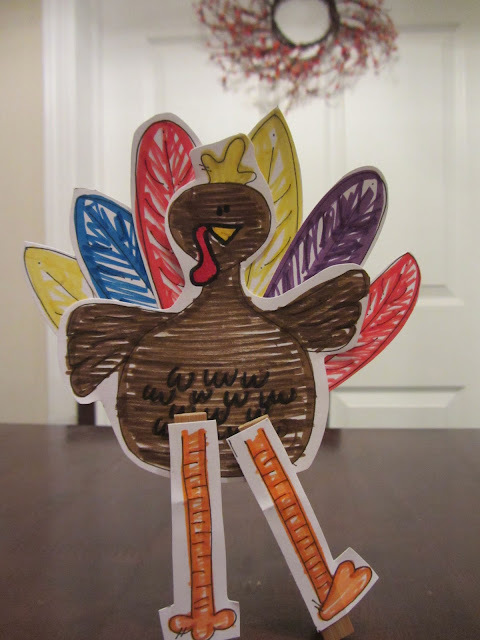 Love all the ideas and printables. And just knowing what you're up to! *** Thanks everyone for your support and for finding me! This post has become my most popular, and most viewed. I updated these puppets so they download easier and with better quality. Also I added some mermaids & space robots puppets. Click here for updated puppets. Merry Christmas friends & family! 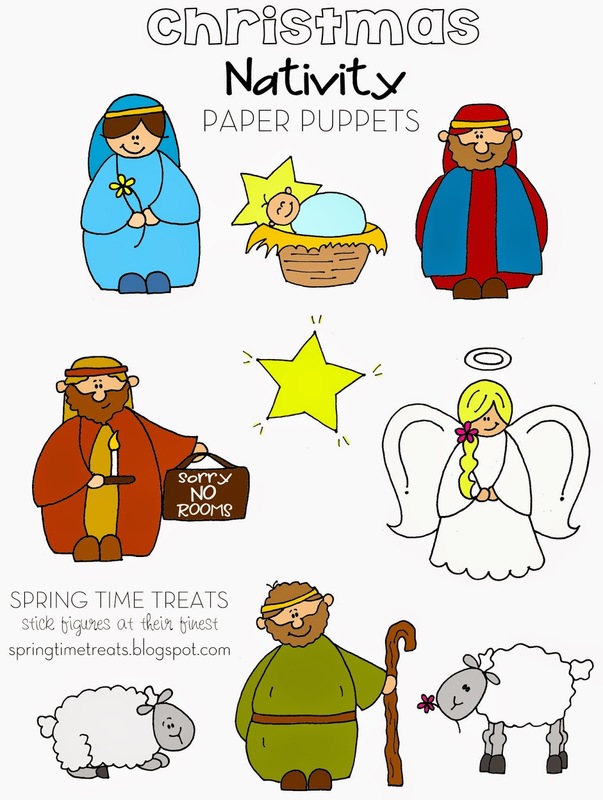 I drew the following paper puppets for my sister-in-law for Christmas. She is going to laminate them before taping to popsicle sticks so they last a little longer. I hope you enjoy these free printables. (Click on image and save to your computer. Make sure to scale to correct size before printing). 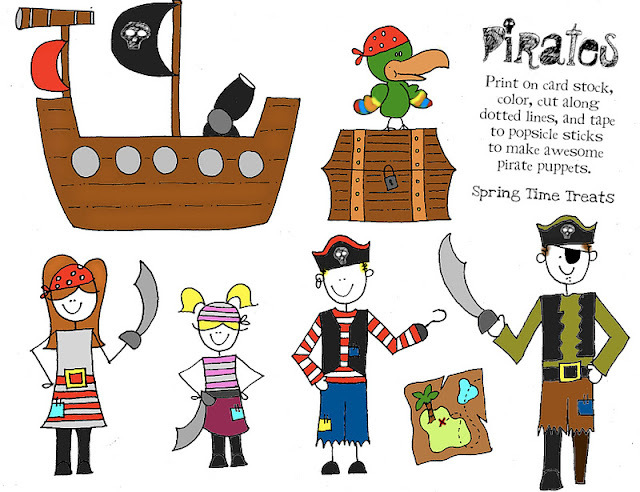 And/or you can print them off with no color and have your kids color them. (I'm totally an ink hog, and am very choosy in what I print in color, so I try offer everything in color and black & white). Because I have no skills with a sewing machine my mom is helping me make this puppet theater. By helping, I mean I sit next to her and talk her leg off while she sews.